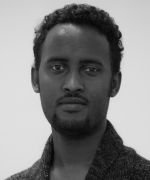 Endale Kebede is a teaching and research associate at Vienna university of Economics and Business and a research assistant with IIASA's World Population (POP) Program. He holds a Master’s Degree in Economics from the University of Warwick and an Erasmus Mundus Master's Degree in Economic Growth and Development (MEDEG), from Lund University. He also received the European research certificate from the European Association for Population Studies for his one-year long participation in the European Doctoral School of Demography (EDSD). Mr. Kebede's research interests lie mainly in education, environment, and population dynamics. Currently, he is involving in the new JRC-IIASA project on international migration.